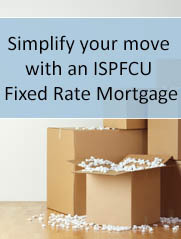 If you are looking for a credit card with a great low rate and no hidden fees then look no further than ISPFCU. Our VISA Platinum Credit Card comes with an extremely low annual percentage rate and there is no annual fee! In addition, for a limited time, you can transfer your high interest rate credit card balances to an ISPFCU VISA Platinum Credit Card and we will waive the balance transfer fee! Make the switch to a credit card with a great low rate from a financial institution you can trust. Apply online or call us at 800-255-0886 to get the ISPFCU VISA Platinum Credit Card of your choice today.